Jose Fragoso has illustrated more than twenty books and written two: “La Increíblemente Alucinante Historia de Marcial, el niño normal” (The Incredibly Amazing Story of Marcial, the normal kid) and “Mi Voz / My Voice”. Stay tuned for new releases! You can use your voice to laugh, to sing or to call your friends, but especially to express who you are and make a better world. “This is a wonderful book. 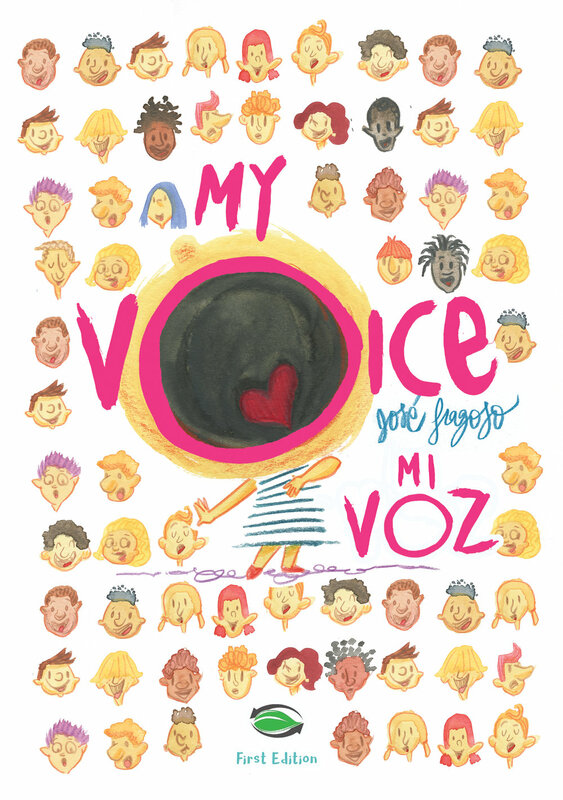 Now that I have read this beautiful tale, I´m excited to see how he uses his distinctive style to draw kids’ attention to the immense power of the voice; the voice of each and and every one of us, their own voice, the voice of the children.” Manuela Carmena, Major of Madrid. Marcial is a normal kid, until the day he finds out that he is incredibly and amazingly normal. “Jose is EXTRAORDINARY! Seriously, do you know how hard it is for a grown up to capture the awesome world of a plain old kid like Marcial?! It takes exceptional talent, and Jose has it in spades. As a writer, as an artist….Jose is a cut above the rest.” Benjamin Schwartz, cartoonist for The New Yorker magazine. Part of Scholastic´s Guided Reading Books in Español. All the rules and cool facts about soccer in a really fun way! Andrés loves the jungle, his friends and baseball. A story about love, friendship and diversity. “Childhood is the time in our life when we are more free, when nothing can stop us because we can imagine all the possibilities, when we are closer to love, music and fantasy. We have to be kids forever!” Julieta Venegas, singer and songwriter.